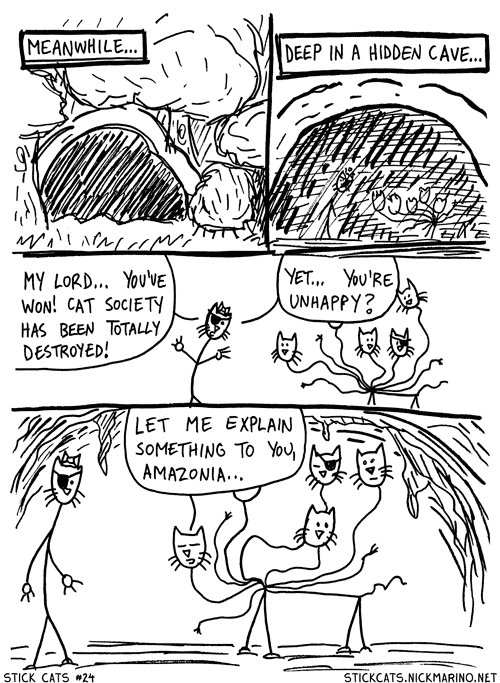 Previously in Stick Cats: Marmalade is all alone in a decimated Catworld. The Octo-Kitty speaks! Well, actually, it's not the Octo-Kitty anymore... but that's a reveal best saved for a different Stick Cats page.